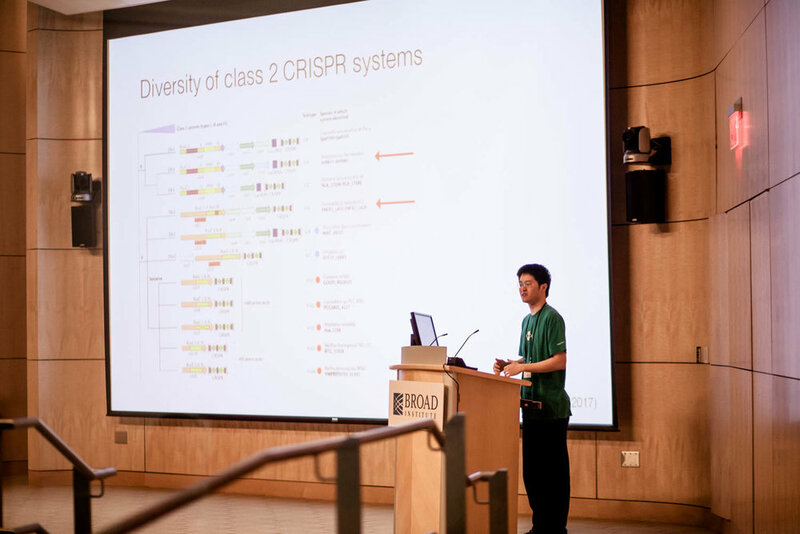 The 2019 workshop will take a closer look at applications of genome engineering for human therapeutics, including talks about improving the specificity and efficiency of gene editing, delivery of molecular therapeutics, gene therapy and immunity, and exploring natural diversity to find new potential tools. The workshop will begin Sunday, May 19th at 1:00 and conclude Monday, May 20th at 5:00. Download the preliminary program. Can I present my work? You are encouraged to share your work with your fellow workshop attendees. For this purpose we will have a poster session on Sunday, May 19th. Abstracts can be submitted via the registration link or email your abstract to workshop@genome-engineering.org by April 29th. Registration for the full workshop is $25 for academic attendees and $100 for industry attendees. This money helps cover the cost of meals served during the workshop. The rest of the event is made possible by the generosity of the Broad Institute and our sponsors. We do not offer lodging, so you will need to make our own arrangements. There are several nearby hotels - two Marriotts and the Kendall Hotel. The Broad is right off the Red Line subway at the Kendall/MIT stop, so anyplace that is near the Red Line will also be convenient for getting to the meeting.